The Royal Navy is leading ‘Unmanned Warrior 16’, an innovative demonstration of autonomous systems which could transform the way in which the Armed Forces of the future help keep Britain safe. Held off the coast of west Scotland and west Wales, Unmanned Warrior 16 brings together 40 industry partners and international allies to showcase the latest in remote technology. 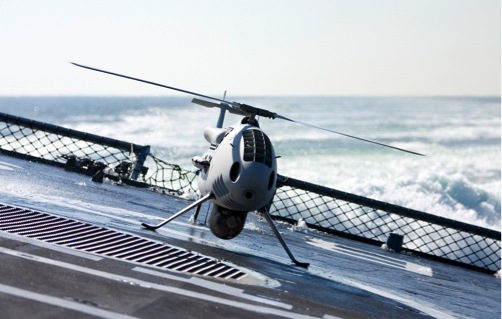 Over 50 aerial, surface and underwater Maritime Autonomous Systems (MAS) are taking part in a range of demonstrations on the themes of surveillance, intelligence-gathering and mine countermeasures. This collaborative approach is at the heart of the new Defence Innovation Initiative and the £800million fund that supports the generation of ideas to benefit both defence and British businesses. "The sheer scale of this exercise demonstrates how our Armed Forces are leading in developing futuristic technologies to keep us safe at sea, or in the air. This is part of our new approach to harnessing innovation, backed by a rising Defence budget, to ensure we keep ahead of our adversaries. From scouring the sea bed with sonar beams to watching the waves from above, these autonomous systems are diving, swimming and flying together, providing information that will be used to inform how future unmanned systems could help protect service men and women." "Unmanned Warrior is a clear demonstration of the Royal Navy’s ambition to lead and win through technological innovation. Unmanned maritime systems will change how we operate, but they’re just the start. Our pursuit of new technologies and ideas – from big data to 3D-printing – will ensure we remain one of the most capable and successful navies in the world." 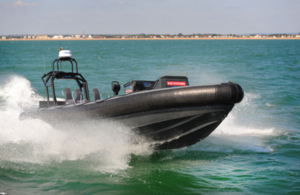 "The technologies demonstrated in Unmanned Warrior have the potential to fundamentally change the future of Royal Navy operations just as the advent of steam propulsion or submarines did. This is a chance to take a great leap forward in Maritime Systems – not to take people out of the loop, but to enhance everything they do, extending our reach and efficiency using intelligent robotics at sea."